Few of us are only involved in one activity in our community, and when groups work together using their talents, wonderful things happen. For example, the Galveston Art League put out a call for artists to create garden art posts that will be a primary fundraising feature of the silent auction for the upcoming Galveston Island Home and Garden Show’s Preview Party benefiting the animals at the Galveston Island Humane Society from 6 to 9 pm on March 13th. Each of the 19 artists were given a 4 inch by 4 inch by 4 foot post and asked to create a one of a kind decoration. hey will give your garden a unique touch while honoring our pets! In addition to the garden posts, the silent auction categories are: Pet Store, Garden Center, Home & Décor Store, Leisure Time Shop, and a new category: The “MAN CAVE”. As a realtor community, the Galveston Association of REALTORS is proud to be one of the five sponsors for the Friday night event — “Disco Beach Party — Can You Dig It?” The other sponsors that have stepped up to the plate are: ShyKatz, Downtown Blooms, On The Bayou, and Countertops & Flooring by Traditional Designs Ltd. The Preview Cocktail Party, Garden Art Walk, and Silent Auctions will be held at the Galveston Island Convention Center and the $50 individual tickets will allow guests to preview the Home and Garden Show and bid on the silent auction items while enjoying some great time with friends and vendors from the show. Tickets are available online at galvestonhumane.org or by calling the shelter at (409) 740-1919. Pet ownership in the U.S. has more than tripled from the 1970s. By 2012, 62 percent of American households included at least one pet and Americans spent more than $50 billion on their beloved cats, dogs and other animal companions. I love to come home at night, open the door, and be greeted by the friendly, excited wagging tail of our dog Spike. Unconditional love at it’s very best. Animal Shelters do a remarkable service for our communities while running on very slim budgets. Here are some national facts that may surprise you: 30 percent of pets in homes come from shelters or rescues with 3 to 4 million cats and dogs adopted from shelters each year; 30 percent of shelter dogs are reclaimed by their owners; and 2 to 5 percent of shelter cats are reclaimed by owners. Shelters are not just mixed breed animals because 25 percent of the shelter populations are purebred dogs. In 2014 GIHS handled 3213 canines, felines, rabbits, ferrets, iguanas, and pocket pets (hamsters, gerbils, etc). 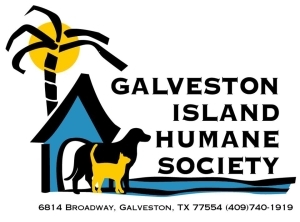 As an open admission shelter, they take in all lost, homeless or unwanted animals on Galveston Island and as a 501C3 organization; they rely on donations and fundraising. Art, dogs/cats, and Realtors make a dynamite combination. 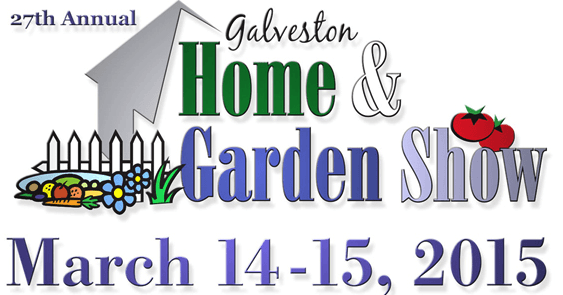 Don’t forget to stop by the Galveston Association of REALTORS booth and meet us. We are your neighbors and will be happy to answer your questions! Our furry friends and those that help: More reasons why those of us lucky enough to live by the sea are lucky enough! Tom Schwenk is president of the Galveston Association of Realtors and writes a weekly column which appears in the Galveston Daily News each Saturday.